Boxhill (also once known as ''Winkworth'') is one of the ''Country Estates of River Road'', originally built around 1910 for the owner of the Chess & Wymond Cooperage. 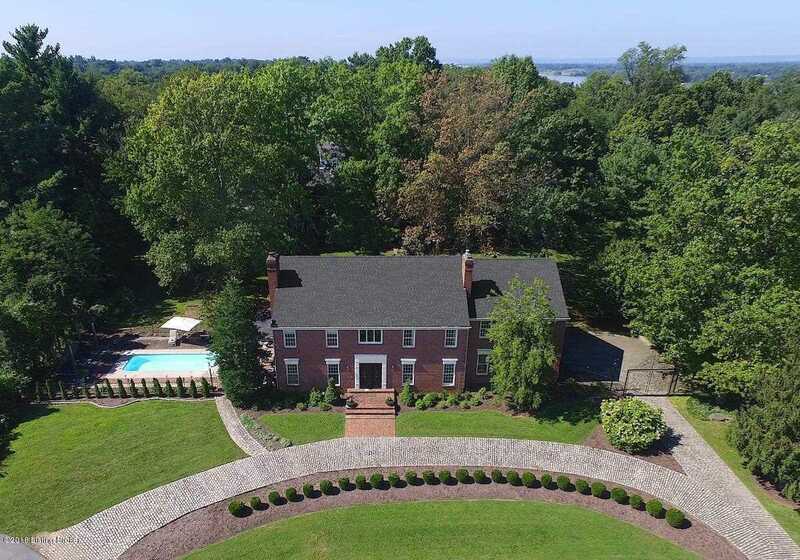 3104 Boxhill Lane was built in 1975 on what were once part of the grounds of this remarkable property. Only seven other residences sit atop this quiet river bluff on a cul-de-sac within Glenview. Transferred owners hate to leave their fresh renovations, which include large center island kitchen, new bathrooms throughout, updated gathering spaces open to the kitchen and inground pool. The flat lot is 1+ ac and has towering mature trees, a 3 car garage, and cobblestone front circle drive. Custom ironwork graces the front entry door, entry hall banister and side fences. Antique columns and statuary grace the pool and entertaining areas on the park like grounds. Come see the 'best buy on the bluff' and make it yours! Directions:River Rd. to Boxhill - go up the hill, stay left to the cul-de-sac. SchoolsClick map icons below to view information for schools near 3104 Boxhill Ln Louisville, KY 40222.